Opinion: Remembering President George Herbert Walker Bush | The Gettysburgian. 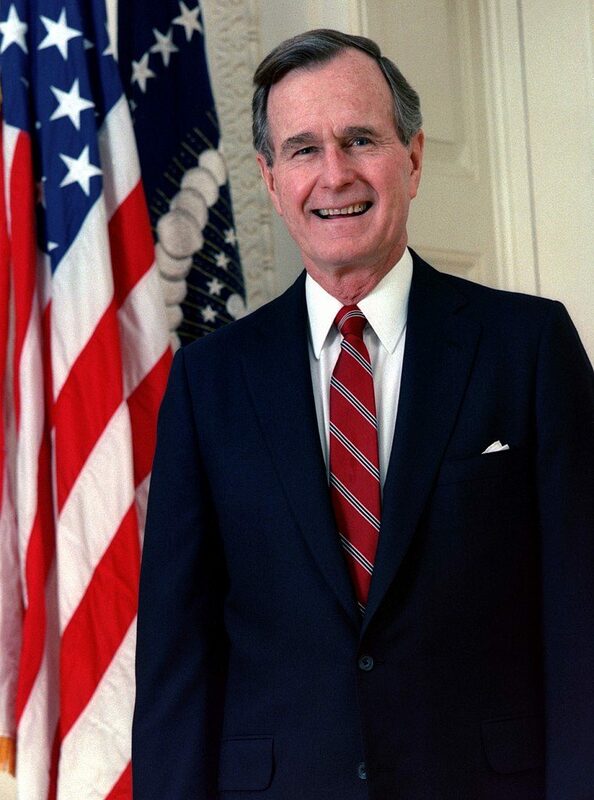 On the passing of one of America’s great Presidents, it is important to take the time to look back and remember the legacy of George Herbert Walker Bush, who had the distinction of serving as the 41st President of the United States of America from 1989 to 1993. President Bush was perhaps one of the most qualified men to occupy the White House, having served previously as a United States Congressman, Ambassador to the United Nations, Chairman of the Republican National Committee, United States Liaison to China, Director of Central Intelligence, and Vice President of the United States. On par with his public service credentials were his credentials of personal character. Bush was the second son of United States Senator Prescott Sheldon Bush from Connecticut, but, after his distinguished service in the Second World War as the youngest pilot in the United States Navy, and his college career at Yale University where he captained the baseball team in the first two College World Series, he left Connecticut with his wife, Barbara Bush, and young son, George Walker Bush, for Texas, where he became successful in the oil business co-founding Zapata Petroleum Corporation. In Texas, the Bush family grew to include Robin Bush who passed away at the age of three of Leukemia, Jeb Bush, Neil Bush, Marvin Bush, and Dorothy Bush. In addition to Bush’s dedication to public service, he was also dedicated to his family, and two of his sons and one grandson followed his footsteps into politics. George W. Bush was Governor of Texas and later the 43rd President of the United States, Jeb Bush served as Governor of Florida, and Jeb Bush’s son, George Prescott Bush, currently serves as Land Commissioner of Texas. As president, George H. W. Bush presided over the fall of the Berlin Wall, German reunification, the collapse of the Soviet Union, and the end of the Cold War. In addition to guiding the United States and the world through this period of rapid change and tumult, Bush also conducted perhaps the most successful use of the United States military during the Gulf War from 1990 to 1991. He successfully used the military to protect American foreign policy interests with minimal loss but without causing major instability abroad. Domestically, Bush signed the Americans with Disabilities Act into law, which not only allowed for greater physical access for those with disabilities, but also lessened the social stigma of disabilities. Overall, whether one agrees with all, some, a few, or none of George H. W. Bush’s political positions and policies, all Americans should take the time to reflect upon and remember the legacies of all United States Presidents upon their passing. President Bush lived a life dedicated to public service and family that, regardless of one’s politics, should be an example to all Americans.